In the Middle of the Mess, Sheila Walsh explored the power we have in confessing, mediating on God’s written word, and praying to our Creator. She opens the book by writing a letter to her dad who committed suicide when he was 34 years old. She realized that her father was broken. She lived with the regret of how she wished she could have tried to make him smile one last time. Sheila Walsh shared about she lived with depression and wound up having to go to a psych hospital. She revealed that she struggled with suicidal thoughts and she thought about jumping off the bridge overlooking the railroad tracks. She came to recognize that God came to save her in the middle of her pain and brokenness and He gave us the gift of salvation. One of the important truths she realized was the power of finding her a community of friends to help build her up. Friends can help us to pray for one another and we can remind each other what Christ has stated about us in His word. 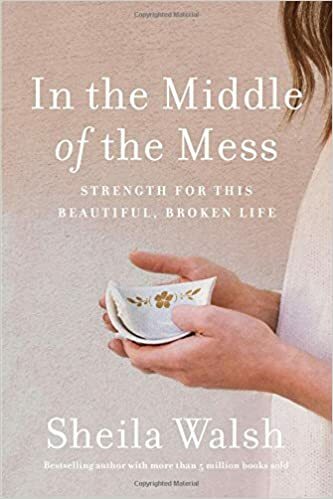 I would recommend this life changing book to anyone who is ready to some hope and encouragement during the mist of the mess of life. I have read a few other books that Sheila Walsh has written. I have always enjoyed with how transparent she is in sharing the darkest times, like when she lost her father and mother. She is a very strong encourager and in this book, she suggested that there is healing and comfort when we surrender our lives to Christ completely. I liked how Sheila shared powerful scriptures people can mediate on if they are dealing with depression, fear, if God seems distant, if you’re afraid of what’s going on in the world around you, and much more. Sheila Walsh understands what it is like in living in chaos and being in a mess and feeling lost and alone. Her story will encourage you that if she made it thru, you can too!! In Goliath Must Fall, Louie Giglio explored the Biblical story of David and Goliath and how Jesus can help us to slay the giants in our life. The giants can be anything from rejection, fear, anger, addictions, and anything that has power of your life. Louie Giglio shared his own personal struggle with anxiety and depression. He went to numerous doctors to help him try and sleep. Louie wanted to control everything and he wanted approval from others. When he first built his church, he wanted to please everyone and make sure everyone was happy. He realized he had a few giants he had to overcome where he could move forward with his life. One of the important aspects of the book is how critical it is to worship God and how focusing on Him makes our giant smaller. When Louie began to praise God, he finally found peace and healing. He would have to constantly remind himself that whatever problem he was facing he was giving it to God. I would recommend this amazing book to anyone who is ready to worship their way out of the giant’s schemes. One of my favorite chapters was the chapter entitled, “A Table in the Presence”. This chapter talked about the importance of not giving the devil a seat at your table. The devil will always reinforce what we aren’t and never will be. He likes to tell us lies where we are discouraged and broken. I liked how Louie Giglio suggested to read Psalms 23 for forty days and forty nights. This passaged reminds us that the Lord is our shepherd and how he can refresh our souls. When we encounter dark valleys, He is with us through it all. The Lord prepares a table for us in front of our enemies and we will always live with Him. 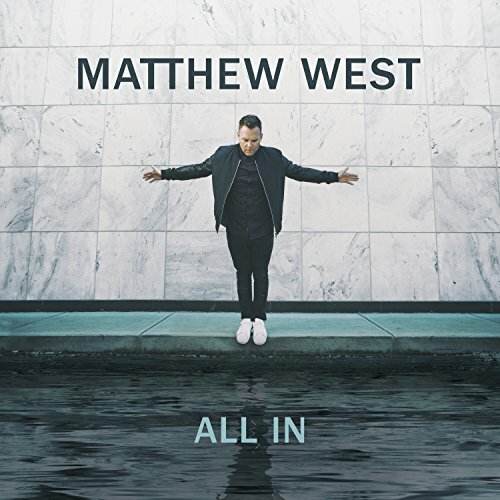 Matthew West is back with a brand new album called, “All In”. It features 14 new songs and one of the songs features his daughter Lula West. The album begins with the title track and it describes how we let fear run our life and we’re living with regrets. Matthew West writes about how he wants God to say well done at the end of his life. He declares that he’s going all in and he’s committed to running his race and finishing it with everything he’s got. Another favorite song is entitled, “Mercy is a Song”. This one discussed how God is able to forgive us and how he can remove our chains. This song is a praise song shouting hallelujah and about how we are redeemed by Jesus and we will have a mansion in Heaven waiting for us. I also loved how Matthew West added an amazing choir to the background vocals to give it a churchy and Heavenly feeling. Another favorite song is called, “Amen”. This one reminds me of something Andy Grammer. This one explained about how he wanted to share his story to the church and how he is a new creation in Christ. This is a very happy tune and an amazing praise and testify song about what God has saved us from. Another favorite song is, “The Sound of a Life Changing”. This one described how Matthew West first started writing songs about how he was watching Steven Curtis Chapman performing and God told him that would be him someday telling the world about God’s amazing grace. The song talks about the song of life changing and hearing our dreams coming alive. I really enjoyed the song, “Something Greater”. This one talked about how Matthew West went to Nashville and he thought he was just signing a record deal. When he was in Nashville, he fell in love and got married and had kids. This song declared how there is something greater happening and we’re a part of a bigger story. I loved the vocals on this track and I can hear this one making it as a single on radio. “Jesus and You” reminded me of the vocals and style of John Mayer. This one talked about how the world is out of control and we’re hanging on. This one drew a picture of seeing a lighthouse in a hurricane and how it’s helping us to find our way back home. It also discussed the power of when we can hang on to our spouse and trust Jesus, and how they both forgive us for our wrongs. One of my favorite lines was when Matthew West talked about our ring on our fingers and how Jesus has scars on His hands and they both promised forever. I could see this song being played in weddings it has the slow tempo that couples would love. This album has tons of amazing songs that listeners can relate to and connect with. If you’re ready to be “All In”, then download and purchase this album! Matthew wrote his new album All In with the goal of encouraging himself and others to get up off the sidelines of their faith and really live it out – to go all in in your time with God, all in with your family, all in with your community, and all in battling your fears that may hold you back from becoming who God made you to be. Along that same theme, Matthew will be launching a 6-week All in Challenge on his social media starting 9/18, and each week Matthew will be challenging his fans to go all in in a different part of their lives. What does it look like when a heart that knows Jesus takes a step and holds nothing back? How can we go All In in the places that mean the most?